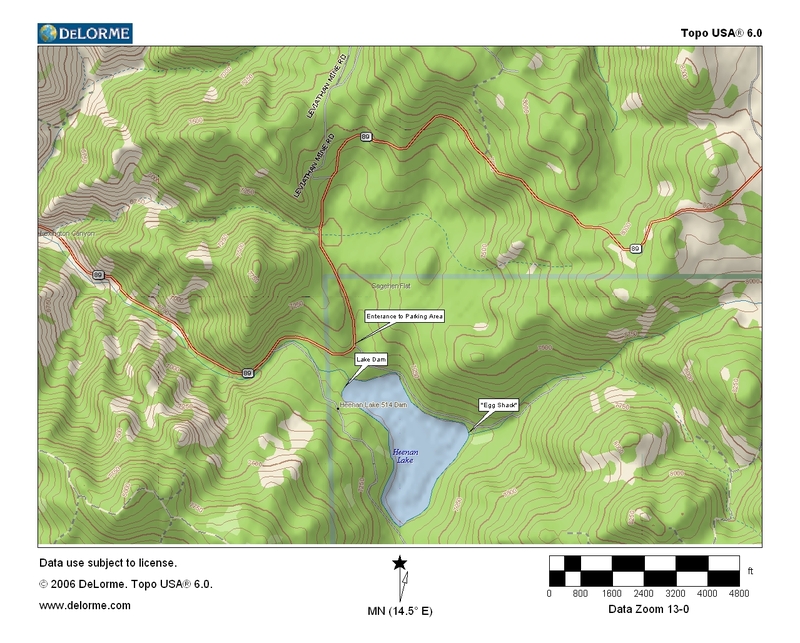 Planning to fish Heenan Lake? Get scientific based angling intel in The EcoAngler Report - Heenan Lake. Detailed information on Heenan's Lahontans along with detailed maps of where to fish and statistics to help time your trip can be purchased here. An Adobe PDF document will be made available with your $1.50 purchase. Select Return to the Ecological Angler to view and save your purchase. If you are planning a trip to Heenan Lake, then take note of the following: the lake opens for fishing on the Friday of Labor Day weekend and closes on the last Saturday of October (unless it falls on October 31st, then it's the Saturday prior). During that period, Fridays, Saturdays, and Sundays are the only days anglers are permitted to fish. Angler netting a Lahontan cutthroat on Heenan. On this day, the majority of hook-ups came in the 10 to 15 ft. range below the surface. Think about rigging with a fast-sink line. A large Lahontan adult running about 24 inches in length. The same cutthroat pictured above but posing underwater. Notice the loose, vegetable matter floating in the water here. And this spot happened to be one of the cleaner sections. The last photo below shows how thick it got. The aspens just about to morph into their fall color on the distant hillside. This particular day was a rare threat - little to no wind. This photograph illustrates the low density of black spotting on these cutthroat. You can see just how thick the aquatic plant matter is in this photo. The vegetation blanketed the lake. I would retrieve my wet-fly rig with almost every cast to clean the green slime off.